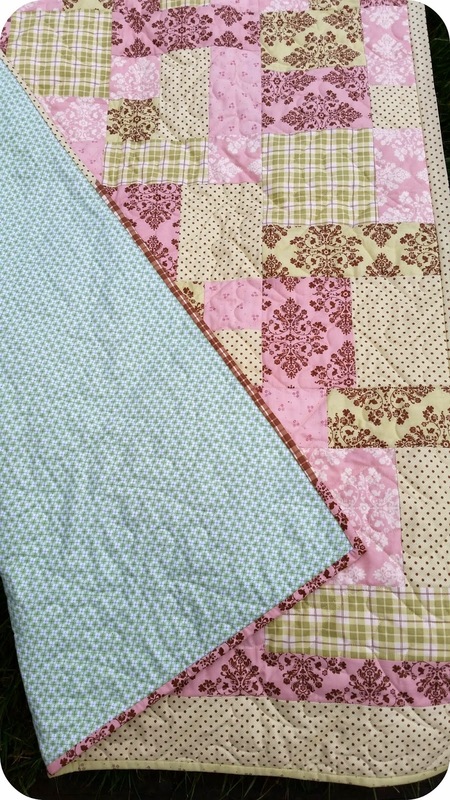 I was going through my stash of quilts when I realized I lied last week. 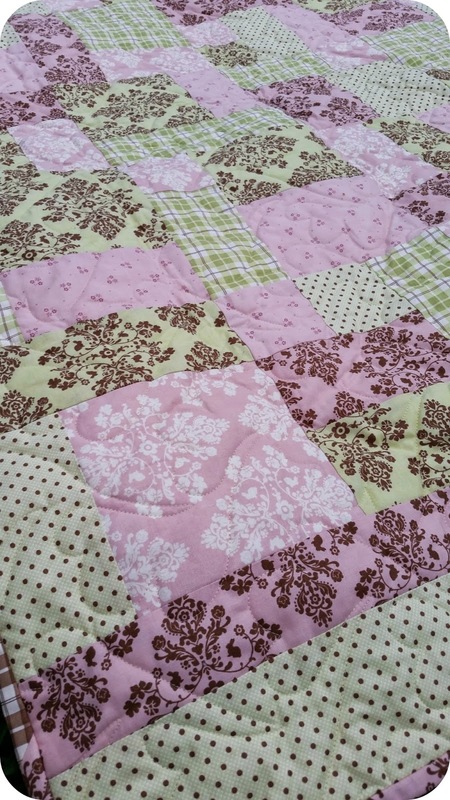 I have one more Lily&Will quilt lol! This one literally used up the last of my bits and pieces. And the last little bits went to make a pieced binding that brings the fabrics all together. And I'll say it again, I absolutely adore this line. Oh please, please bring it back!! Than maybe I'll make myself a quilt with it lol. 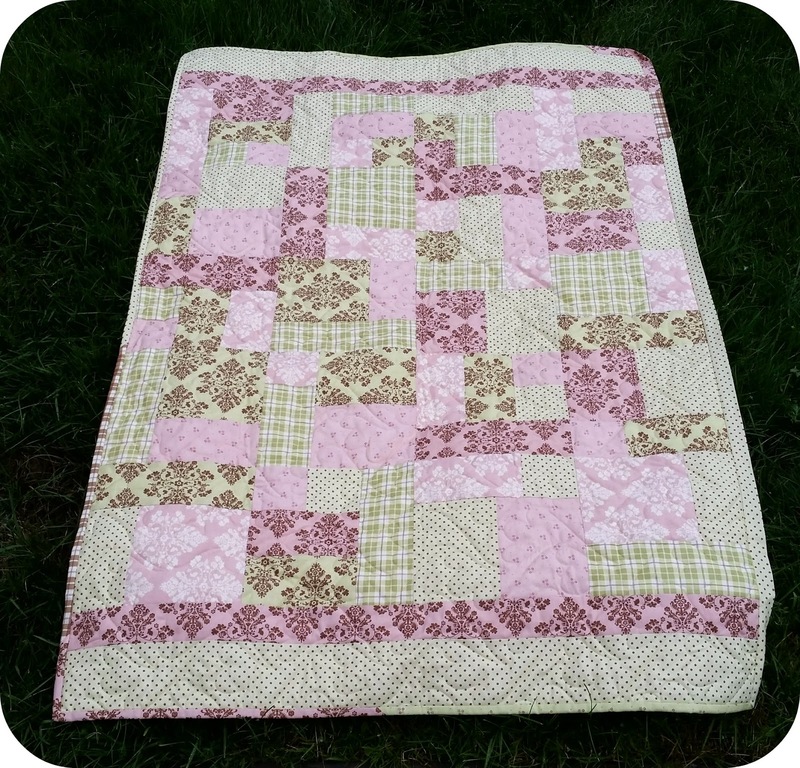 I had a perfect piece of green flannel to back this with; it goes so well with the fabrics. And now I'll go and get the binding finally finished!